I've been wanting to post this on here for quite some time now. 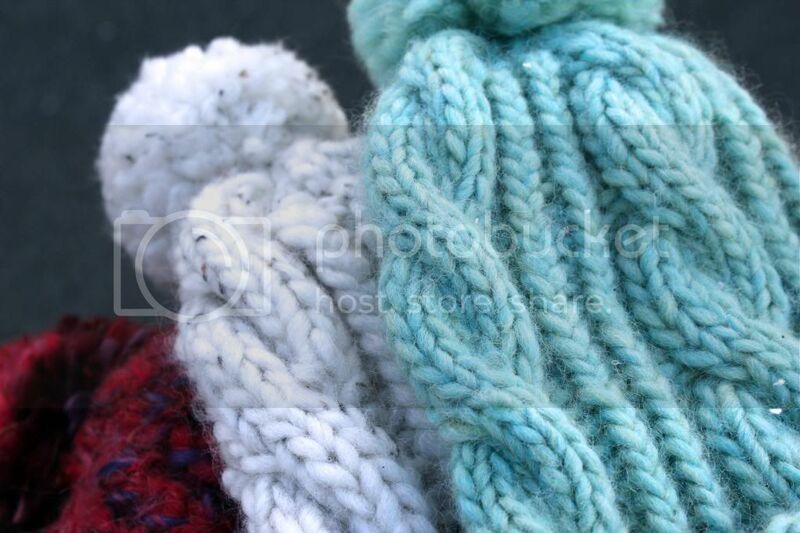 I found the most perfect cabled hat pattern on Ravelry a while ago, but I can't seem to find it on there now! You need to know how to knit, purl and of course - cable!! Work in knit 2 stitches, purl 2 stitches for as long as you like to create your ribbing. Sew the hat together, add your pom pom and there you have it! I think this pattern produces a very lovely cabled hat, so much that I've made 5 of them (some for friends, and some to keep for myself!) If you plan on making one, let me know how it goes, and if you need any further help, give me a shout!! ohh they look amazing, super cute! you say to repeat rows 1-8. What is row 8? is it a repeat of 2,4,6 or is it another of row 5?